We supply food & drink products to delicatessen, fine food retailers, department stores, the hospitality industry, food services and hamper companies in the UK and worldwide. We support clients with our international business and management expertise. The highly attractive packaging throughout the full product range, makes it sell automatically of the shelves. When the product is consumed, you will get another feeling of satisfaction because it tastes so good. 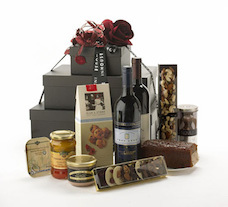 Our clients that run a restaurant see often that the consumer buys the product to take home or to buy as a gift. On this website we are allowing the public to purchase some of our products directly online for easy home delivery all around the world.